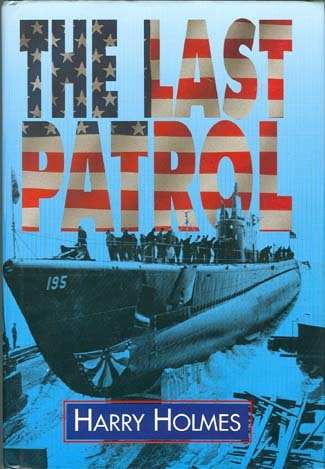 “The LAST PATROL” By Harry Holmes. An excellent operational history of the fifty-two American submarines lost during World War II. Using the latest information available, Holmes covers the historic and tragic tales of America’s lost boats. Their successes, their failures and their final dive when the sea closed over them forever. From December 1941 through August 1945 the “Silent Service” suffered the highest percentage of losses of any branch of the American armed forces, with almost one in five vessels failing to return. Their epitaph––“Overdue presumed lost.” One chapter on each submarine! A must have for your submarine / naval library. Hardback edition with dust jacket. 212 pages, with a staggering 124 black and white photos, plus an impressive 16 page appendix and an index. Now out-of-print and difficult to find.